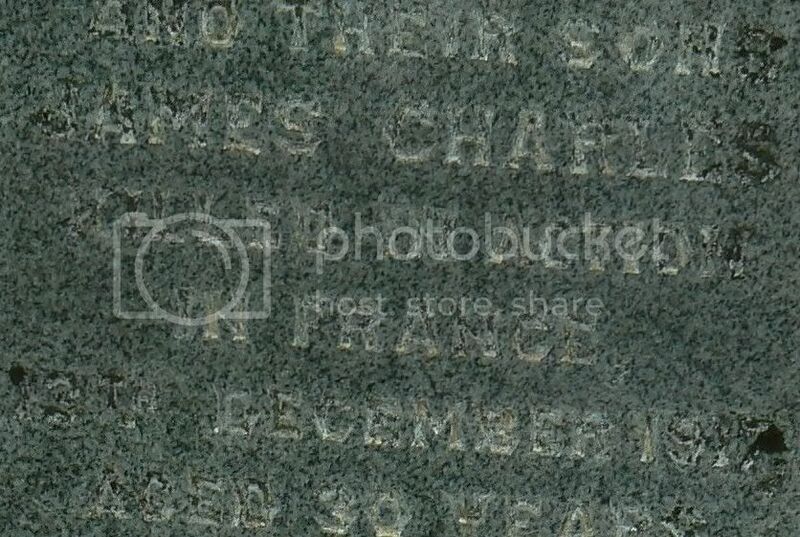 Additional information: Son of John and Margaret Bain, of Erchless, Struy, Beauly, Inverness-shire. 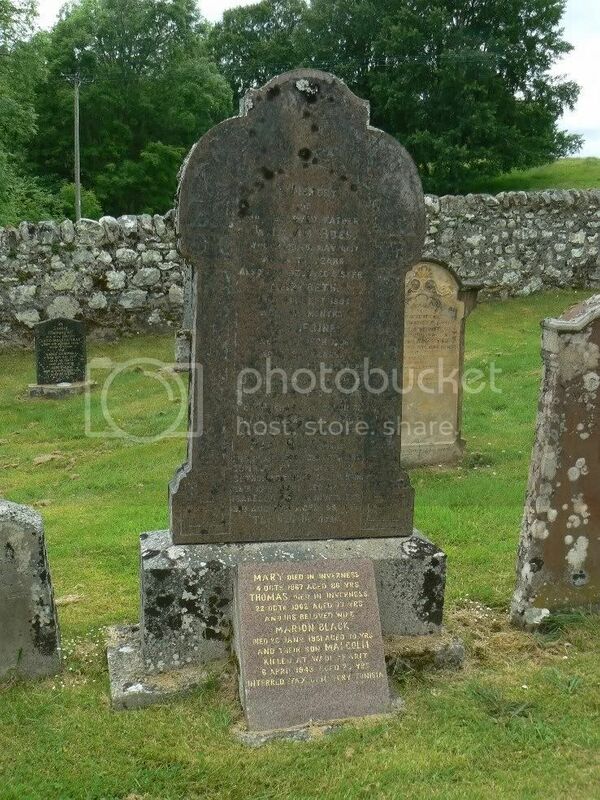 In memory of James Cameron who died at Torgormack 7th Feb 1899 aged 57 years. 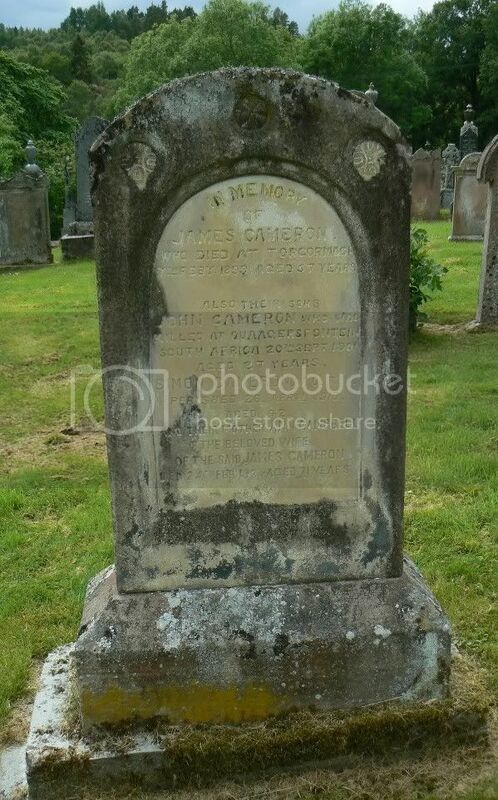 Also their sons John Cameron who was killed at Quaagersfontein, South Africa 20th Sep 1901 aged 27 years. Simon Cameron W.O.R.N. perished 26th April 1919 aged 42. And their mother Ann Campbell the beloved wife of the said James Cameron died 24th Feb 1923 aged 71 years. Grave/Memorial Reference: II. D. 29. Unit Text: 4th Bn. attd. 1st Bn. 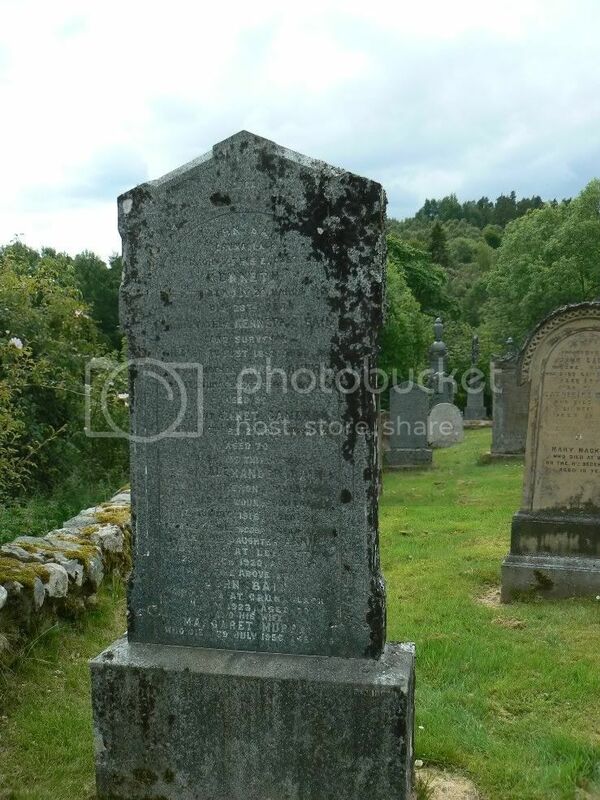 Additional information: Brother of Miss Agnes Fraser, of Hawthorn Cottage, Beauly, Inverness-shire. Grave/Memorial Reference: Pier and Face 15 B. 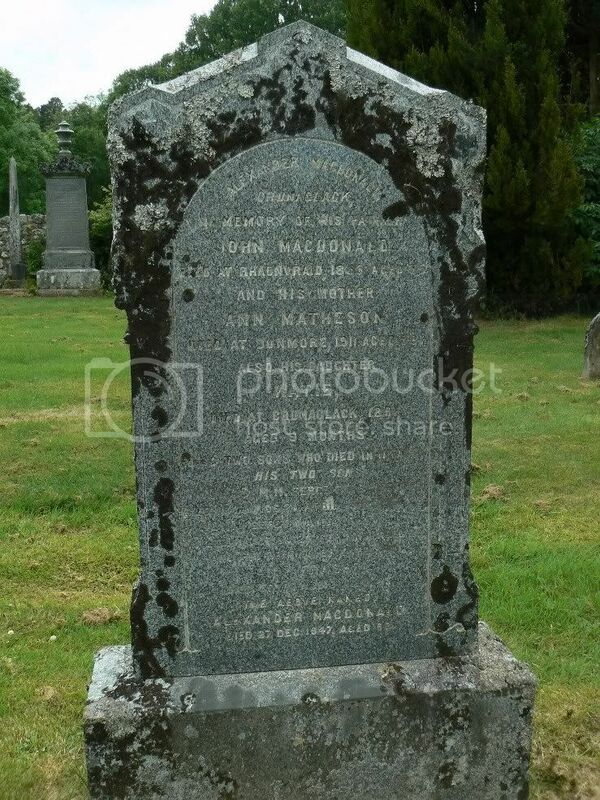 In memory of Hannah McKinnon died Crask of Aigas 1904 aged 49 years. 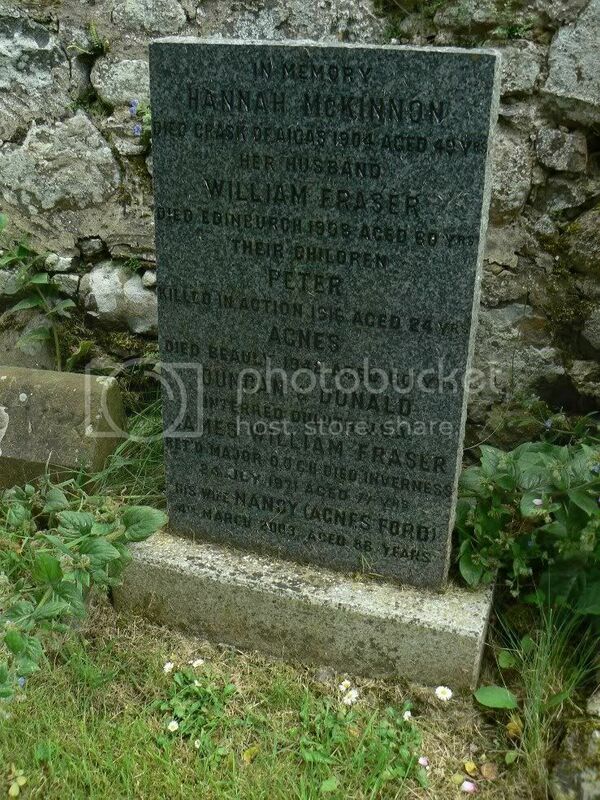 Her husband William Fraser died Edinburgh 1908 aged 60 years. 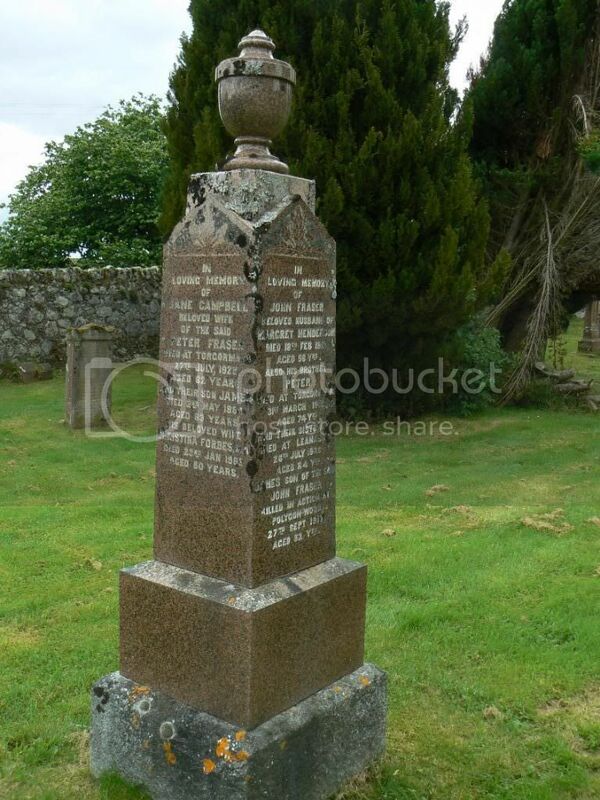 Their children Peter killed in action 1916 aged 24 years, Agnes died Beauly 1942 aged 60 years. Duncan & Donald interred Duluth, USA, James William Fraser, Retd. Major QOCH died Inverness 1971 aged 77 years. His wife Nancy (Agnes Ford) 4th March 2003 aged 86 years. Unit Text: "A" Coy. 8th Bn. 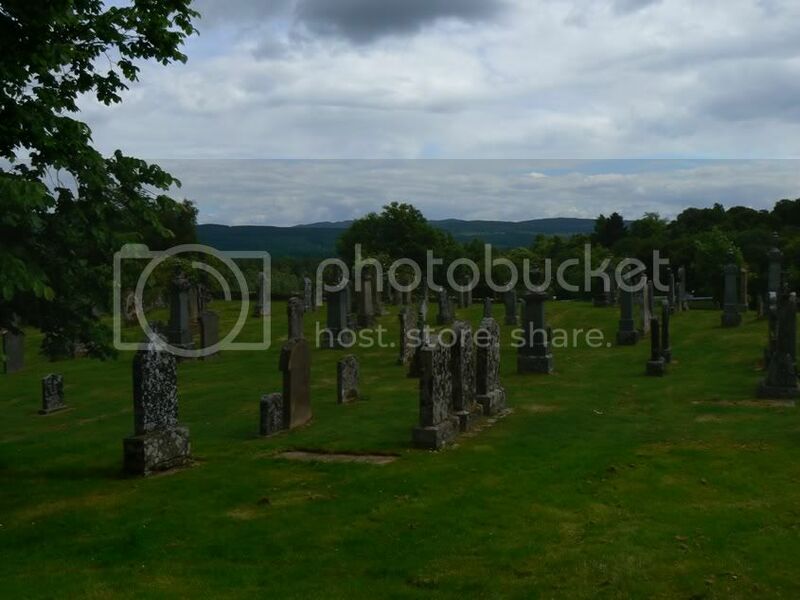 Additional information: Son of Alexander and Ann Macdonald, of Crunaglack Farm, Crask-of-Aigas, Beauly, Inverness-shire. Additional information: Son of Alexander Macdonald, and the late Ann Macdonald, of Crunaglack, Crask-of-Aigas, Beauly, Inverness-shire. 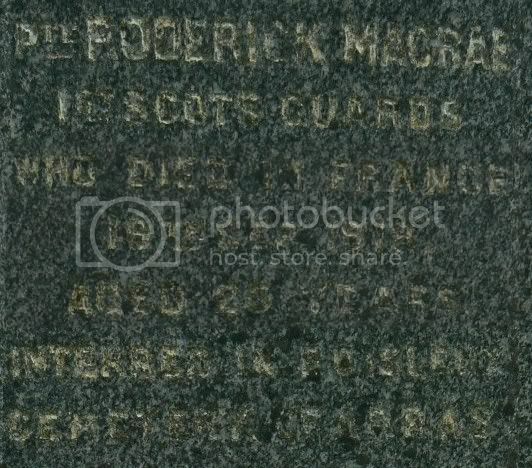 Additional information: Son of Jane MacDonald, of Roselea, Beauly, Inverness-shire, Scotland, and the late Donald MacDonald. Additional information: Son of Jane Macdonald, of "Roselea," Beauly, Inverness-shire and the late Donald Macdonald. Additional information: Son of Donald Macdonald and Jane Macdonald; husband of Williamina M. Grant Macdonald, of Elmbank, Dornoch, Sutherland. Native of Beauly, Inverness-shire. Grave/Memorial Reference: II. D. 8. 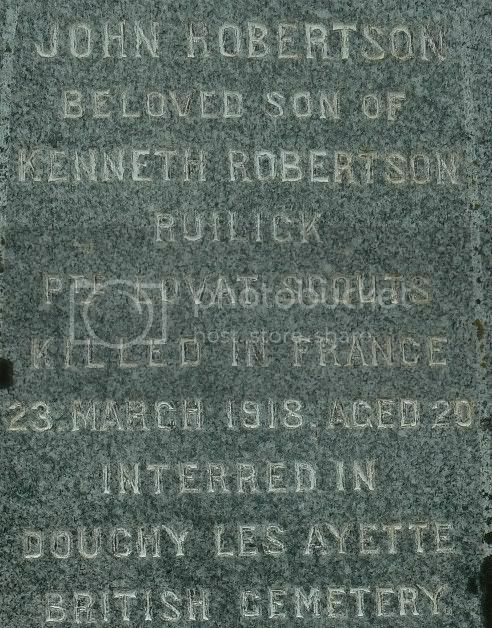 Additional information: Son of Kenneth and Isabel Robertson, of Ruilick, Beauly, Inverness-shire. Additional information: Son of Thomas and Marion Ross, of Inverness. 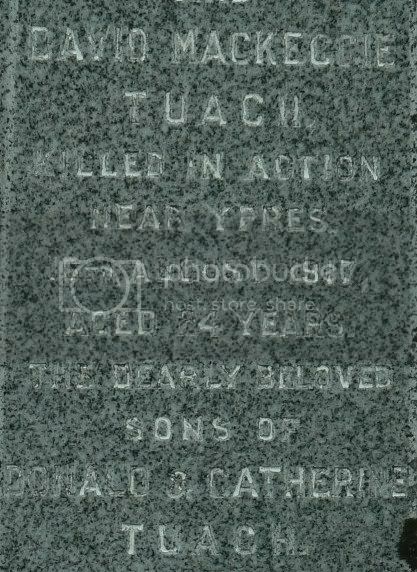 Additional information: Son of Donald and Catherine Tuach, of Ardvarar, Beauly, Inverness-shire. 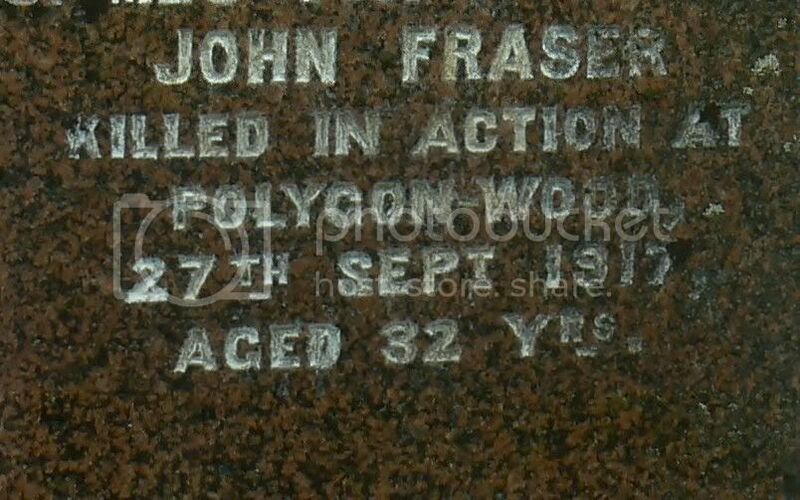 Additional information: Son of John and Margaret Fraser, of 16, Torgormack, Kilmorack, Beauly, Inverness-shire, Scotland.